Upgrade your home with premium home windows from Preservation. 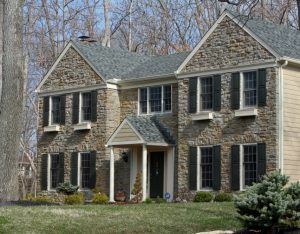 These replacement windows have advanced features to achieve the ultimate in durability, beauty, and energy efficiency. American WeatherTECHS offers a variety of siding products designed to enhance your home’s curb appeal, energy efficiency, and defense against the elements. As a GAF Master Elite™ roofer, American WeatherTECHS can provide the best value for your investment in a new roof. 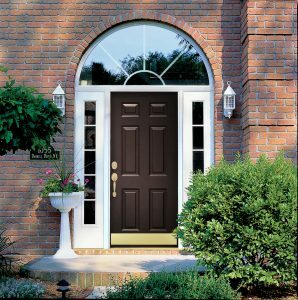 Our top-of-the-line entry, patio, and storm doors are available in a wide range of styles to suit your tastes and are sure to enhance the security, energy efficiency, and curb appeal of your home. Since 1995, American WeatherTECHS has been the premier home improvement company serving the residents of Cincinnati, Columbus, Ohio, and all nearby communities. We are full-service remodelers, so whether you require vinyl windows, house siding, a new shingle roof, exterior doors, or seamless gutters and gutter protection, we not only offer tremendous products but are experts who can execute the project with precision. You can be sure that our workmanship will be of the highest quality, as the craftsmen we use are certified installers who specialize in a specific area of home improvement work. As a result of this commitment to excellence, we’ve earned an outstanding reputation among our customers and have received numerous accolades, including an A+ Better Business Bureau Rating and a place on Qualified Remodeler’s Top 500 list. At American WeatherTECHS, we are committed to providing our customers throughout Columbus, Cincinnati, OH, and the surrounding areas with the best value for their investments. We are the exclusive dealer in the region for many of the most sought-after home improvement products on the market, all of which feature best-in-class durability, energy efficiency, and beauty. For example, we offer Preservation series Energymaxx vinyl replacement windows that have exceptional insulating glass packages to help keep homes more comfortable throughout the year. Additionally, we offer a variety of house siding, including Preservation Integra vinyl siding that offers an unbeatable value. It has features such as 1 ½ inch-thick ClimaShield insulation to achieve superior energy efficiency and panels that are 39 percent longer than standard sectional house siding, so there are fewer seams for a better visual appeal. We also offer high-quality yet cost-effective Charter Oak and Odyssey series vinyl siding from Alside, as well as James Hardie fiber cement siding that has a bold look and extraordinary durability. You can expect the same level of quality when you choose American WeatherTECHS to be your roofing contractors. 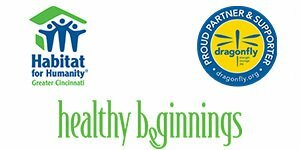 We install Timberline HD® and Camelot II® shingle roof products from industry leader GAF. These asphalt shingles have a beautiful dimensional look as well as top-of-the-line features, such as Advanced Protection® technology and StainGuard® protection, giving them exceptional strength and resistance to unsightly stains and streaks. And, we are a GAF Master Elite Contractor, assuring that you are dealing with reputable, dependable, and highly trained roofing contractors. With outstanding windows and house siding, premium roofing, durable seamless gutters and gutter protection, and highly secure and beautiful entry doors, storm doors, and patio doors, we are the single source for all exterior home remodeling needs in Cincinnati, Columbus, and the surrounding areas. In addition to being among the region’s finest replacement window, house siding, and roofing contractors, American WeatherTECHS is also the leading installer of premium doors for homeowners from Cincinnati to Columbus. Exterior doors may not be the first thing homeowners think of when it comes to remodeling their homes, but the impact that new doors can have on curb appeal and energy efficiency is dramatic. This is especially true when you turn to American WeatherTECHS, as we provide only top-of-the-line doors from the industry’s finest manufacturers. For example, we offer durable steel and fiberglass entry doors from ProVia that are available in a wide variety of colors, patterns, and textures, as well as many glass and hardware options, so you can truly make your doors your own. We also offer storm doors from ProVia and Larson that will provide the utmost protection for your home during inclement weather and that have advanced features, such as retractable screens to let the breeze in on nice days. And, of course, we offer beautiful patio doors with a weathertight design, exceptional energy efficiency, and a wide viewing area to let in plenty of natural light. No matter what exterior remodeling project you have in mind for your home, you can count on American WeatherTECHS to provide the finest service in addition to the best products. Beginning with your free in-home consultation and estimate, we’ll guide you through every step of the process, ensuring that you get exactly what you want at a price that fits your budget and that you are completely satisfied with the project. For more information about new home siding, replacement windows, roofing solutions, patio rooms, or any of the other home improvement products we offer in Cincinnati, Columbus, and surrounding areas in Ohio, contact American WeatherTECHS today. Also, ask about the financing options we offer to homeowners who qualify.